← Meet Tristania’s members on the new forum! Today is a very special day for us. “Rubicon”, Tristania’s sixth album, and the first one to feature Mariangela and Kjetil is available everywhere. When we started out with the first ideas and drafts for the new album more than two years ago, this day seemed very far away. The process of writing and producing the album has been so consuming and overwhelming, that I’ve had problems imagining how the life on “the other side” of the release would be. But the day has come, and on behalf of the band, I’d like to thank all you people who have been following us, and supporting us through the entire thing. Even if this day most of all feels like an end, it is the beginning of something much bigger, and much more exciting. We are now a band strong, eager and hungry to get back on the road to play, to serve the songs on “Rubicon” justice, and play a variety of songs from Tristania’s remarkable career. Old fans will meet some new faces, but many of you know us very well by now. 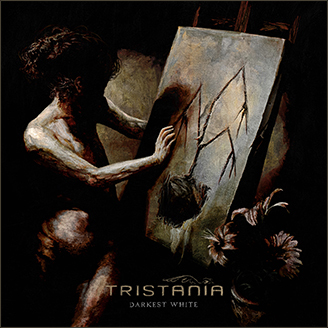 And I think every Tristania fan will recognize the spirit, identity and vision of the band. Stay in touch, and keep up the support. It is much appreciated. “Rubicon” should be available in a record store or an iTunes shop near you. This entry was posted in News and tagged kjetil, mariangela, ole, rubicon. Bookmark the permalink. i received it one week ago and i’ve already listened to it more than 20 times i think. if i didn’t love all tristania albums, i’d say this is my favourite one. is that enough?!? and i’ll keep on listening to it for a long time i think! many, many more listenings are simply necessary to have a glimpse of every facet of this record. congratulations and thanks for it to everyone involved! To quote from one of the more illuminated Tristania songs on Rubicon – “Say, don’t you feel the way that I feel/A new direction is what we need”. I have to congratulate you for your latest effort, Mary has an awesome performance and the songs sound great! I really like your new sound with Mary and Kjetil, and it was definitely worth the wait to hear the full “The Passing” song – the most awesome song I’ve heard in a while. Just picked the album up off of amazon yesterday, probably already gotten more than a handful of listens. I’m always fearful when a band I love changes, but this one turned out most excellent. Cheers!